Promising two-year-old Sugar Boom will make her debut at Doomben but trainer Tony Gollan has yet to decide which of this week’s two meetings to target. Gollan has entered Sugar Boom for a 2YO maiden (1200m) on Wednesday and expects to also nominate her for the $1250,000 Fillies Jewel Prelude (1200m) on Saturday. Sugar Boom was a star of the trials at Doomben on January 29 and then again at the Sunshine Coast on February 12. In the Doomben trial she looked a little above herself in condition but she still scored an impressive win over 840m. She looked to have tightened up when she won the Sunshine Coast trial by 3-1/4 lengths. Gollan has entered Sugar Boom for the ATC Sires’ Produce Stakes (1400m) at Randwick on April 6 and the Percy Sykes Stakes (1200m) a week later. He also has the option of the $500,000 Aquis Two-Year-Old Jewel at the Gold Coast on March 16. “First of all I will have decide which way to go this week before getting too carried away,” Gollan said. Sugar Boom is yet another promising horse by top young Queensland sire Spirit Of Boom who was trained by Gollan to win two Group One sprints in Melbourne. She was sold for $100,000 at the Inglis Easter Sales after originally going through the ring at the Magic Millions earlier in the year. Sugar Boom’s dam Acupuncture was stakes placed in New Zealand and her blood lines trace back to Mother Duck who was placed in the inaugural Magic Millions 2YO Classic 1987. 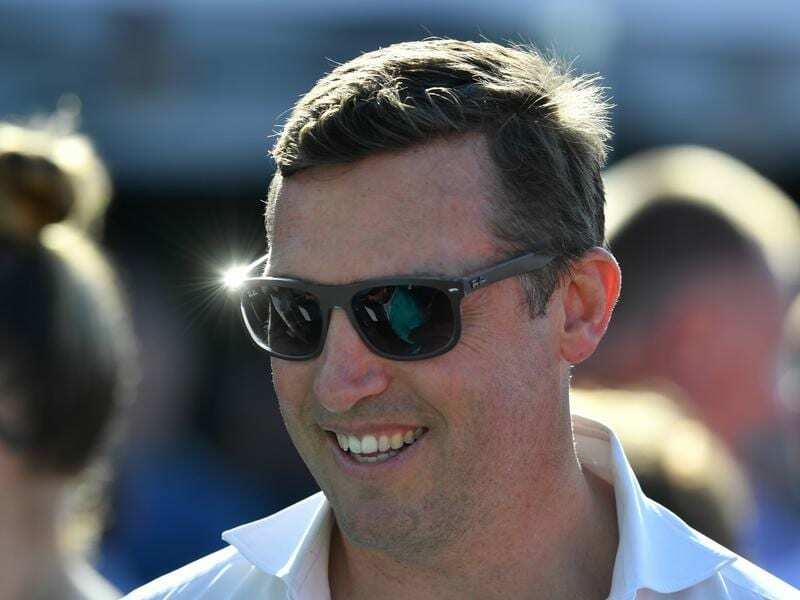 Brisbane’s premier trainer, Gollan is maintaining his form wiht a double at EAgle Farm on Saturday giving him 12 winners for the month.